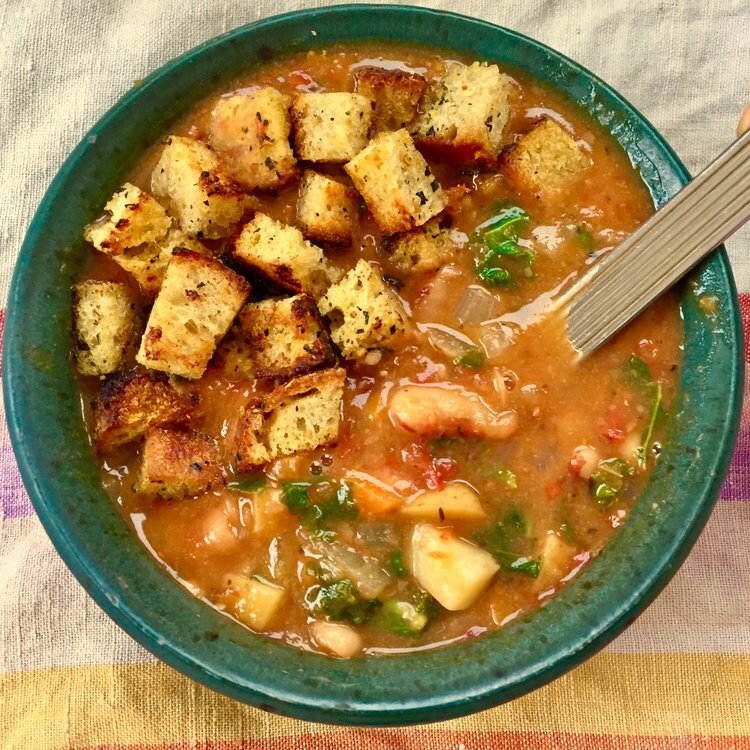 A thick & creamy soup featuring Bumble Bee beans (Baer's Best, South Berwick, ME) along with Frinklepod veggies, tomatoes, and rosemary, tarragon, and basil. Once you've made your own crisp, herby croutons (from Abigail’s Bakery’s Millet-Rice bread), you'll never go back to the packaged ones again! Delicata squash, with its sweet flesh and thin, edible skin, is the star of this show; it is stuffed with truly "wild" wild rice (hand harvested by our friends in Minnesota), French lentils, and dried cranberries. Top with a tangy roasted apple sauce as we bid a sad goodbye to autumn.